Hussein Kalout is Special Secretary for Strategic Affairs of the Brazilian government, Associate at the Harvard Kennedy School Belfer Center’s Iran Project, Research Scholar at the Center for Middle Eastern Studies at Harvard University, Member of the Advisory Board of the Harvard International Review, and Senior Associate Fellow (non-resident) at the Center for Strategic and International Studies (CSIS) in Washington-DC, Senior Columnist on International Politics in the most influential Brazilian daily Folha de São Paulo, and Co-President of the Kalout-Degaut Institute for Politics and Strategy. In 2016, Mr. Kalout was short-listed by the UN Human Rights Council in Geneva for the UN position as Special Rapporteur on the Situation of Human Rights in the Palestinian territories occupied since 1967. Previously, Mr. Kalout has occupied prominent positions in the Brazilian public administration and he advised the Brazilian government on Iran foreign policy and the Iranian nuclear negotiations. Mr. Kalout worked as senior consultant at the Ministry of Foreign Affairs, as the Head of International Affairs of the Brazilian Supreme Court, and as the Director-General of the Department for International legal Cooperation at the Prosecutor-General of the Republic Office. As a specialist on Brazilian foreign policy and Middle Eastern affairs, Mr. Kalout collaborates as a special counselor with the Brazil’s Senate Committee on Foreign Relations and with the Ministry of Defense on the Brazilian Maritime Task Force (MTF) of the United Nations Interim Force in Lebanon (UNIFIL). Additionally, Mr. Kalout is the director of the Program on Middle Eastern and Islamic studies at the Brazilian Diplomatic Academy. Furthermore, Mr. Kalout was also Secretary-General of the Latin American and European Union Joint Commission on International Legal Cooperation and acted as senior consultant of the UN Development Program (UNDP). He directed several programs related to international cooperation with countries in Latin America, Africa, and the Middle East on matters concerning democratization, nation building, modernization, and legal public policies. He has authored numerous op-eds, articles, and papers in scientific journals including the Foreign Affairs, Harvard International Review, and the Brazilian Journal on Foreign Policy. 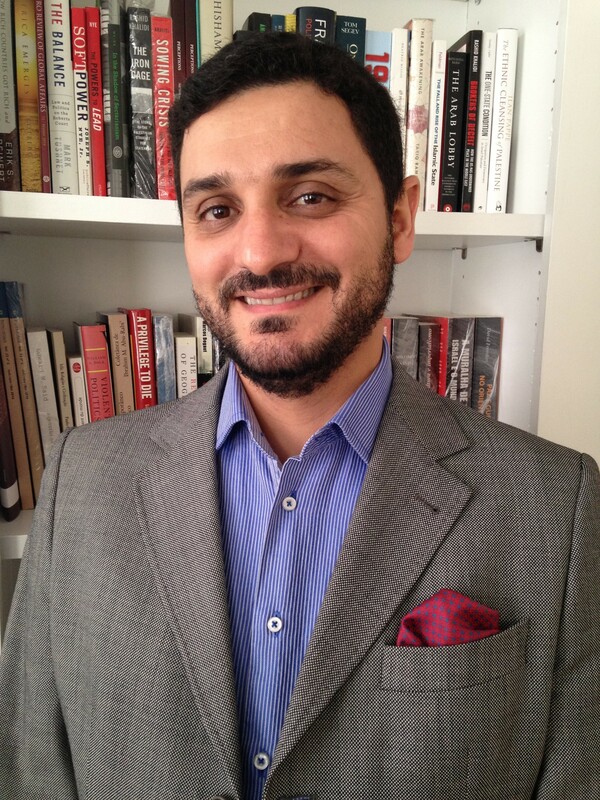 As a research scholar at Harvard University, his field of interest and expertise includes Middle Eastern geopolitics, decision making in foreign policy, international security, sectarianism, national fragmentation, international law of armed conflict, and armed movements and terrorism in the Islamic world. Mr. Kalout is fluent in English, French, Spanish, Portuguese, and Arabic.